A love affair unfolds as crisis hits a family farm on the High Plains. 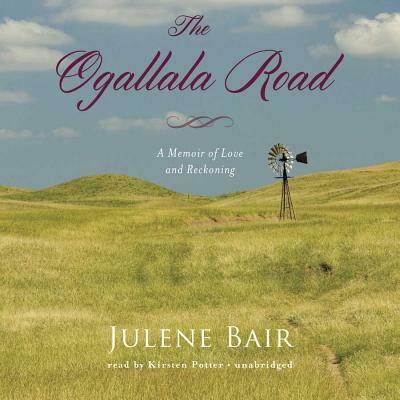 Julene Bair has inherited part of a farming empire and fallen in love with a rancher from Kansas' beautiful Smoky Valley. A single mother, she means to provide her son with the father he longs for and preserve the Bair farm for the next generation, honoring her own father's wish and commandment, Hang on to your land But part of her legacy is a share of the ecological harm the Bair farm has done: each growing season her family-like other irrigators-pumps over two hundred million gallons out of the Ogallala aquifer. The rapidly disappearing aquifer is the sole source of water on the vast western plains, and her family's role in its depletion haunts her. As traditional ways of life collide with industrial realities, Bair must dramatically change course. Updating the territory mapped by Jane Smiley, Pam Houston, and Terry Tempest Williams, and with elements of Cheryl Strayed's Wild, The Ogallala Road tells a tale of the West today and points us toward a new way to love both the land and one another.